Ambient noise can be a fact of life in many urban and suburban neighborhoods. Whether the sounds are from the street, an air conditioning unit, or a neighbor’s pool, blocking them out creates an increased sense of privacy and is beneficial to stress levels. 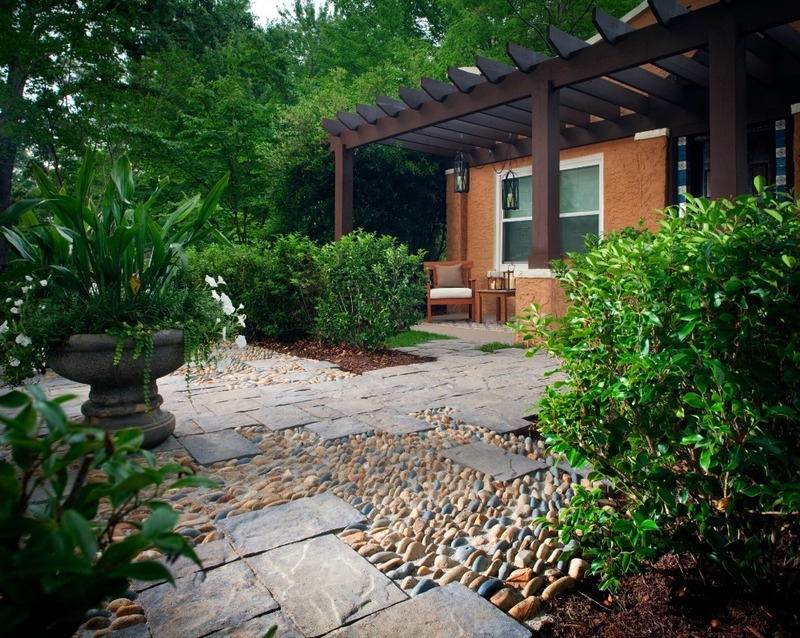 Fortunately, there are ways to landscape for noise reduction by using smart hardscape and plants. A tall fence helps reflect sound waves that originate from behind the fence and the more solid the wall, the more effective it will be. Masonry walls such as brick, stone, or stuccoed concrete are best. A solid wood fence without gaps is less effective than masonry but can certainly help. The most important aspect of a noise-reducing fence is that the construction lacks gaps that sound waves can sneak through. Most wood fences have gaps between the soil and the bottom of the fence and, unfortunately, sound waves will creep through that space. For severe problems, special fences that have noise absorbing blankets installed on the inside of the slats aren’t your most attractive option, but they do work and can be made more visually-appealing with plants. Note that fences higher than 6-feet-tall require a permit in San Diego. Running water creates white noise that is pleasing to the brain and helps mitigate undesirable sound. Yes, California is in a drought but it is still possible to install a water feature in an environmentally-sensitive manner. It must have a recirculating pump to keep water moving without draining the fountain and requiring new water to be added. Instead of filling water features with a hose, use repurposed fresh water from rain barrels or inside the home. As you wait for hot shower water to arrive, fill a bucket with the cold water and use it to fill your water feature. The water feature also doesn’t have to be large to be effective but it does need to be close to the listener to have maximum impact. Place it in outdoor seating areas or near the house itself, depending on the noise. Also consider when you’ll need the noise. Is it during rush hour? Do you need it only when enjoying your outdoor living space? Or consistently? Many pumps have timers while others run on solar energy that might not power the pump through a full 24-hour cycle. Fountains can drown out noise levels of lawn mowers, consistent traffic and other noises that are on the same frequency levels. They can’t do much for honking horns, sirens and the like. While some homeowners are convinced that tall plantings actually block out noise, experts in psycho-acoustics (the study of sound perception) suggest that it’s more of an out of sight, out of mind concept, because sound waves can creep through openings in a dense hedge or planting of trees. A thick tree truck, of course, helps deflect some sound, but it usually isn’t going to be enough to make a huge difference. We say go with whatever works so plant away. What experts do seem to agree on is that if you can’t see the source of the sound, it won’t bother you as much. If your street is subject to noise from semi-trucks, make sure that your barriers are tall enough so that you can’t see them passing by. If you are opting to use plants, a row of dense hedges is your best bet for blocking sound but if you can layer plants in front of that—all the better. Make sure that the hedge chosen has branches that grow to the ground as any gaps there will let in sound waves. Boxwoods are very commonly used as noise-blocking hedges as they can easily be pruned into shape. 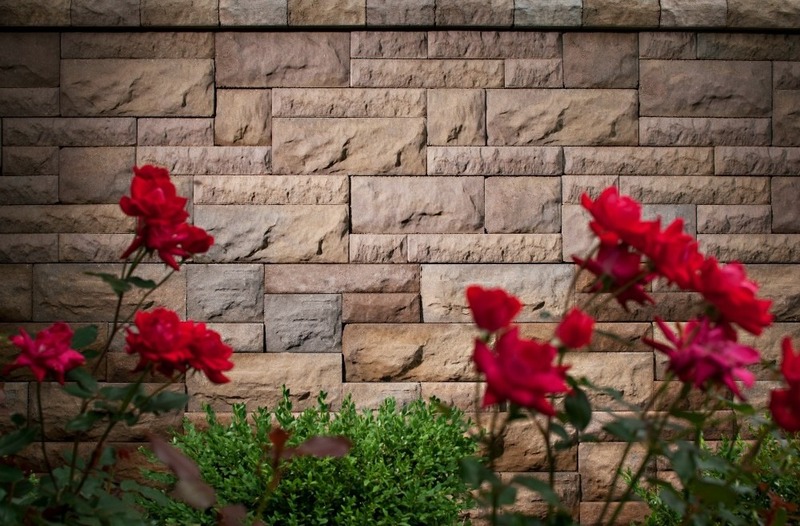 Many homeowners choose to plant hedges in stone or paver decorative or retaining walls as this look tends to be more aesthetically pleasing. Plus, tall hedges don’t require permits. Do you have a breeze? The rustle of leaves in the wind helps mitigate sound by creating white noise. Look for evergreen trees with big leaves as those that lose leaves seasonally won’t be effective when they are bare. In Southern California, even palm tree fronds or water-wise plants like tall leucadendrons can create a bit of ambient noise in a light wind. When it isn’t practical to sound proof the entire yard, put these techniques in place in a designated outdoor entertaining area. A sunken outdoor living space at even just a few feet below ground level will benefit from a small wall of soil to help deaden sound. But if the living area is three feet below ground level and six-foot fencing is at ground level, you’ve also just created a nine-f00t sound barrier in a way that might avoid permitting issues (check local building requirements). Pair this with lush plantings and you’ve just created a mini oasis. One of the most inexpensive ideas on this list, wind chimes have been used for centuries in zen gardens for improving the energy in a space. Soothing melodies from wind chimes mask unwanted sounds and are thought to offer benefits ranging from eliminating laziness to inviting prosperity into the home. 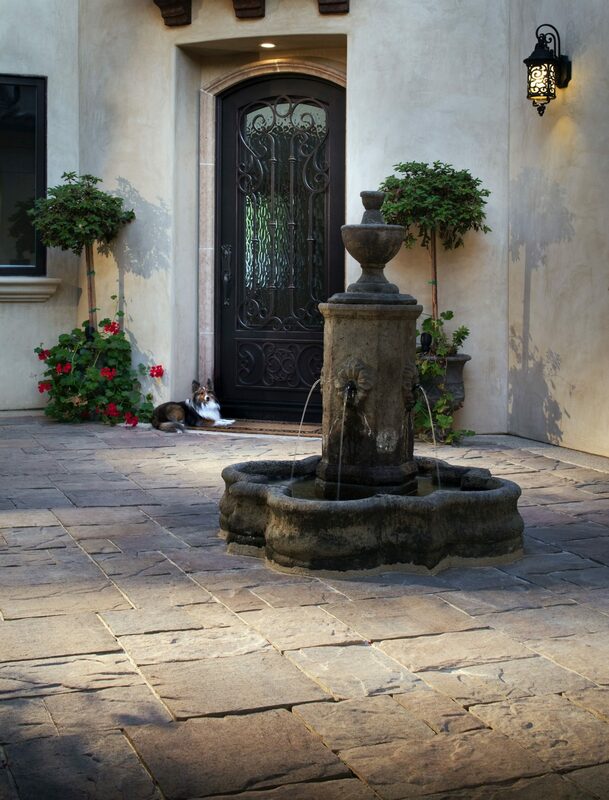 Choose a wind chime material to round out the elements in your yard. For example, soften the look of metal by adding wood wind chimes. Or, if you’d like to adhere to refer to the principles of feng shui the exact location of the wind chimes will play an important role. Use music to divert guest attention away from road traffic and other distractions. High quality speakers wired into your outdoor living space are likely the most visually appealing and high-tech solution. However, a quality portable speaker that you can pop your mobile phone on to will do as well. While you wouldn’t want to leave it on perpetually, weather-proof outdoor televisions are rising in popularity, should you want to catch a game. How do you landscape for noise reduction?